Single and multiband designs for all bands from 80 through 10 meters. Antennas for 6 meters, 2 meters and even 70 centimeters. 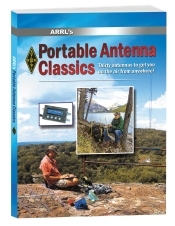 Ingenious ideas for getting your portable antenna off the ground and keeping it there.